If you're in the market for a new eCommerce website, the first thing you need to decide is whether you'll use a premade or a custom solution. Out-of-the-box eCommerce solutions such as Shopify and WooCommerce have a number of advantages, but they don't fit the needs of every company. Although they require a larger time investment, custom eCommerce websites return in the form of greater control, flexibility, and scalability. You'll have to decide for yourself whether the considerable benefits of customizing your eCommerce website outweigh the convenience of using a ready-made product. Here are 13 reasons that can help you deliberate. If you want to give shoppers a lot of options for customizing the products they buy, then you should reflect this variety by making use of a custom eCommerce website. One common use case is a T-shirt store that allows you to customize the sizes, colors, fonts, and graphics on each T-shirt. With so many different variables in play, each creating a different cost, you may want to charge a separate price for each T-shirt. An out-of-the-box eCommerce system won't be able to accommodate all of these options for a single product, let alone all of them. Complex orders like these will require a sophisticated custom eCommerce solution to handle them. Success Story: Read more about how we worked with a client to create customizable eCommerce products. Selling objects that are of a consistent size and weight, with no special considerations required is one thing, but the greater variety of products your eCommerce store offers, the more diverse your customers' shipping concerns will be. In turn, a custom eCommerce solution will seem even more appealing. For one, your customers may want the choice of different courier delivery services, whether that's FedEx, UPS, DHL or the U.S. postal service. If you're shipping items internationally, you may also need to worry about customs. Another issue that may arise is shipping items that require strict temperature controls (such as pharmaceuticals, tobacco, fine art and personal care products). These may need to be refrigerated in order to prevent spoilage and preserve freshness. Not all industries are alike. It's likely yours has unique regulations or rules. For example, as mentioned above, refrigeration can be an issue. Perishable goods such as fruits, vegetables, meats, and dairy may need special care, as may liquids. Each carrier has also its own rules about prohibited items. For example, USPS bans the shipping of items such as airbags and gasoline domestically, and aerosols and dry ice internationally. If you're in an industry that deals with products like those listed above, then using a custom eCommerce solution is a wise idea. This will help you ensure that you comply with the shipping standards of the industry and of each carrier that you use. Another strong reason for using a custom-built eCommerce system, when it comes to shipping, is using multiple vendors. The more vendors you have a relationship with, the more likely it is that you'll need to use multiple carriers and have special shipping needs. For example, one vendor who makes jewelry out of her home might strongly prefer to use USPS because it's the closest to her house, while another wants to use FedEx because they have a special discount. As a result of this multiplicity of options, you might have to make customizations to your eCommerce platform that limit what your shoppers can do. For example, certain carriers are willing to ship to PO boxes, or let the receiver sign for the package in advance, while others don't provide those options. An out-of-the-box eCommerce system may include functionality for coupon codes, but it may also be very rigid or limited in scope. For example, you may want to allow shoppers to use the code only up to a certain number of items, or to prevent the code from being used with specific items or brands if a vendor doesn't allow discounts on a certain product. 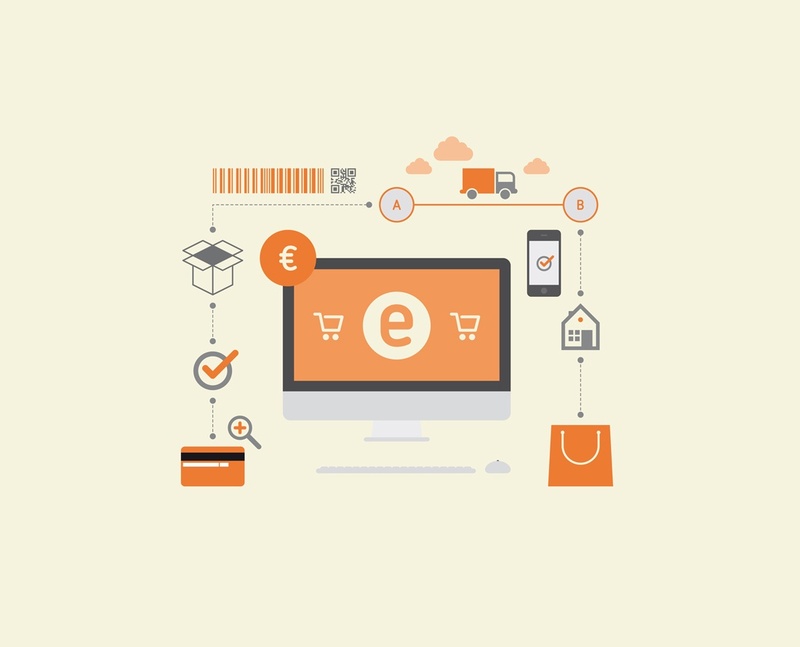 Unfortunately, not every ready-made eCommerce solution can accommodate these special rules. Using a custom-built website, however, allows you to bake in as many rules about coupons and promo codes — even highly specific ones — as you want. The need for integration with other systems and software is a very common one for eCommerce websites. For example, you may have an order entry system on the back end that you use to track every order from the time it's placed to the time it's fulfilled and shipped. However, you also need to input that order into your invoicing and accounting systems. Depending on the back-end software that you use, integrating it with your eCommerce website can be fairly straightforward, or it can require a good deal of work. In the latter case, you'll likely want to use a custom-built website. Some businesses service an impatient clientele and want to make the purchasing process as easy and fast as possible, while others would like to create a sense of familiarity, personalization, and friendliness. Depending on your customers and the shopping experience that you want to create, a custom eCommerce website may be the best way of providing it. Your customers may want to view a report of all their orders from your website during a given period for compliance reasons. Being able to generate this report for a certain timeframe is a feature that not all ready-made eCommerce solutions possess. Not all pre-built eCommerce solutions come with support for all credit card processors. Although most small businesses use their bank's credit card processing service, you may have a good reason for choosing another company, such as lower fees or faster availability of funds. The predominant security concern when running an eCommerce website is protecting your customers' personal data, in particular, their payment card information. As part of your business, your website should be in compliance with the 12 requirements of PCI DSS (Payment Card Information Data Security Standards). Without third-party support via a custom-built platform, it's difficult for companies to know that they're doing eCommerce security in the right way. You know how to run your business, of course — but can you also really say that you're providing shoppers with the most secure transactions when doing business with you? Using a custom-built website allows you to benefit from the expertise of developers and security professionals who know how best to protect customers' information. If your business is unique, your eCommerce website should reflect that uniqueness by offering special features. Once you've hit the growth stage, you can start building a suite of fancy features that will improve your conversion rates. For example, you may want to build a personalized shopping experience with a custom look and feel for each customer. Unfortunately, most pre-built eCommerce solutions sacrifice customization options in favor of providing a standardized, predictable offering. This means that if you want to create a really special customer experience for your shoppers, you'll probably have to strike out on your own with a custom-built website. At a certain point, every business hits a "wall" when it comes to their out-of-the-box eCommerce solution. You start to feel growing pains as you realize that the software can't do everything that you want or need it to. This is likely roughly around the same time as you're interested in improving metrics such as the average revenue per customer, the number of repeat buyers and the percentage of abandoned shopping carts. In fact, many businesses find that it's nearly impossible to go back to using a pre-built eCommerce solution once they've had experience with a custom-built platform. The convenience and simplicity of having the software created exactly to your specifications is just too powerful. Another concern as your business grows is being able to maintain a healthy amount of products in stock at all times. To do so, you'll need to communicate with vendors so that you can replenish your inventory when you're running low. Custom-built eCommerce websites can connect to your inventory management system and your network of vendors so that your inventory is handled automatically. When there are only a few of a given product left in stock, the system can generate an order and send it to a vendor so that you don't unexpectedly run out of a popular product. Unless you're a large company with specialized demands right out of the gate, you'll likely start with an out-of-the-box solution for your eCommerce website. As your revenue and customer base increase, however, you'll feel the need for a website with more customization. If you have requirements like those mentioned above, such as different shipping regulations or promo codes, then you'll be out of luck with almost any pre-built eCommerce solution. The most important question to ask when evaluating an eCommerce platform is: will it grow together with you? Can your website handle common tasks such as putting things on sale, restocking items and doing returns? As you get more products and vendors and expand to serve more locations, which is the solution that will scale right alongside you? For many people (and agencies), the answer is a custom eCommerce website.